Learn to accept, own, and ultimately celebrate what you have, and who you are! Designed for bodies of ALL ages, abilities, shapes and sizes. Vixen DeVille presents her own unique introduction to the Basics of Burlesque performance, fused with elements of Physical Theatre, Stand-up, Public Speaking, and Theatre Creation. 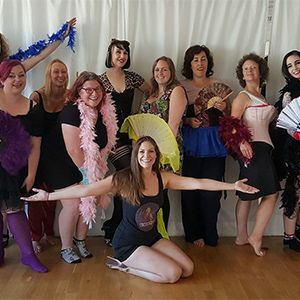 This Introductory session will cover, Basic Burlesque Moves, Confidence in ‘Being Seen’, Vixen DeVille’s “Core Concepts” of Magnetic Charisma, Alter-Ego and Character Exploration, Presentation & Play: Rapport with your audience. After a guided tour of LA’s Fashion District. Vixen will guide you, step by step, in creating stage-worthy pieces with zero experience at her Hollywood based home studio. Learn how to embellish and customise your existing items, create your own items from scratch, make amendments to existing items in order to make them functional for a strip act. All equipment and materials are provided. A makeover photoshoot experience available for all genders, shapes and sizes. Guided by International Burlesque Star and Body Confidence Coach, Vixen DeVille, take a day out of your life to be whoever you want to be! Discover and celebrate your alter-ego, you are limited only by your imagination. Get promo pictures for your new act, as a gift for a loved one or just as some awesome “me-time” for yourself. 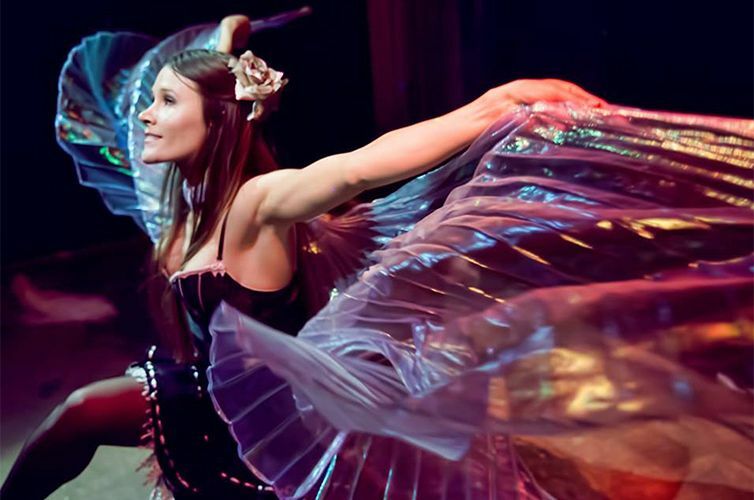 Develop your own personally tailored solo act with the opportunity to perform as a debut guest star in a professional LA Burlesque show. Embrace the freedom to EXPRESS yourself, BE yourself, CELEBRATE yourself… the good, the bad and the wobbly. Designed for bodies of ALL ages, abilities, shapes and sizes, Vixen DeVille guides you through her her own step-by-step process for creating your personally tailored solo act with no pressure to be anything other than exactly what, and who, you want to be! 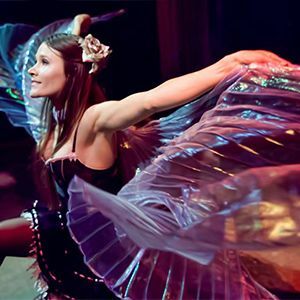 Designed for both beginners and professionals, this is a fast track, 1-on-1 course in order to create and polish a personalized solo burlesque act including a guaranteed professional performance slot to perform on the Burlesque stage. Gain the opportunity to acquire promotional footage and photographs as well as contacts with performance bookers! Perfect package to prep for festivals, surprises performances for loved ones or other special events. 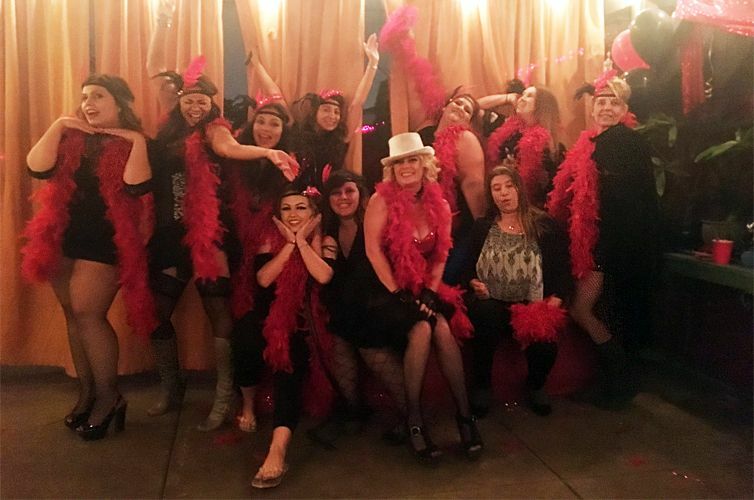 Let me help you plan the perfect party – learn the Art Of Tease, explore a variety of burlesque costume and characters, and allow your inner Vixen the chance to come out to play! Available either at Vixen’s home studio or at a location of your choice. 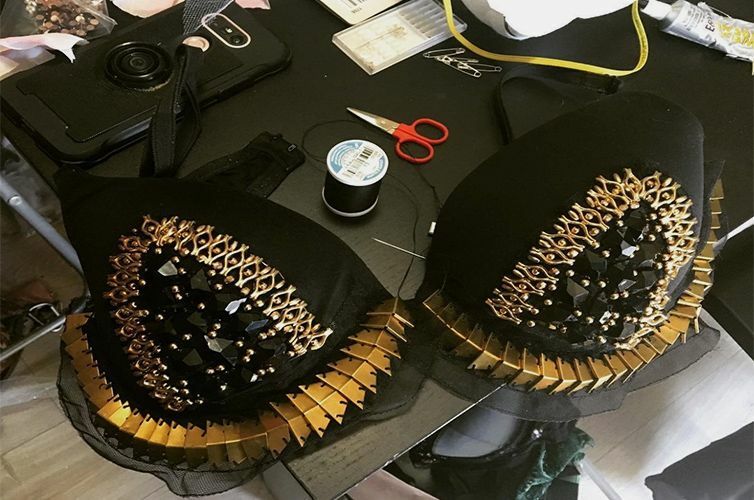 At her Hollywood based home studio, Vixen will guide you, step by step, in creating stage-worthy pieces with zero experience. Learn how to embellish and customise your existing items, create your own items from scratch, make amendments to existing items in order to make them functional for a strip act. All equipment and materials are provided. Learn to eat fire like a pro. 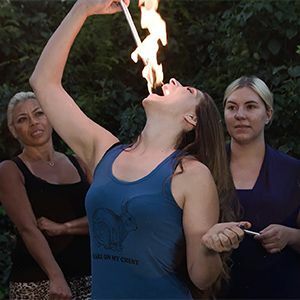 Learn Vixen’s technique for Fire Eating, Body Burning, Flame Transfers and Fire Trails. Gain knowledge of the ideal equipment and materials to use, along with comprehensive information on fire safety and risk reduction. All equipment included in the class. This can either take place at Vixen’s home studio or a suitable location of your choice. Suitable for all types of beginners, this is the perfect class for those wanting to try something new, something challenging, or something they never thought would be possible. 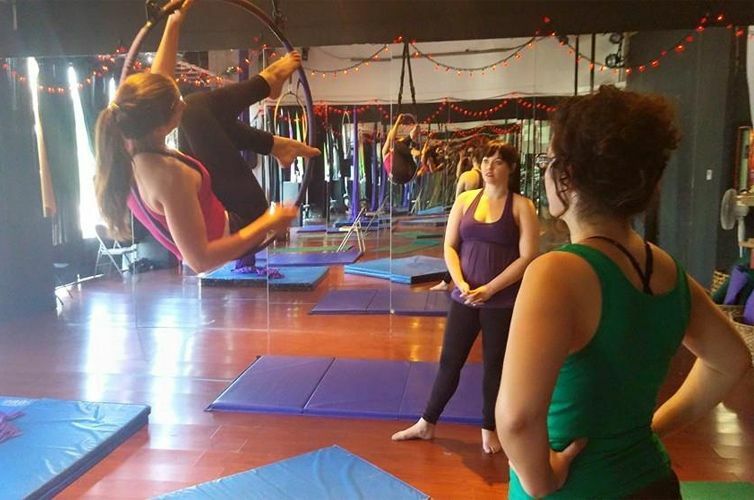 With attentive one-on-one guidance, build your confidence, break through your mental and physical blocks, and begin to put together the basics of a routine.